It is little wonder that we attract a good portion of our clientele from the private world of medicine. Our sites are bespoke, uniquely designed, and built to stand out amongst the competition. 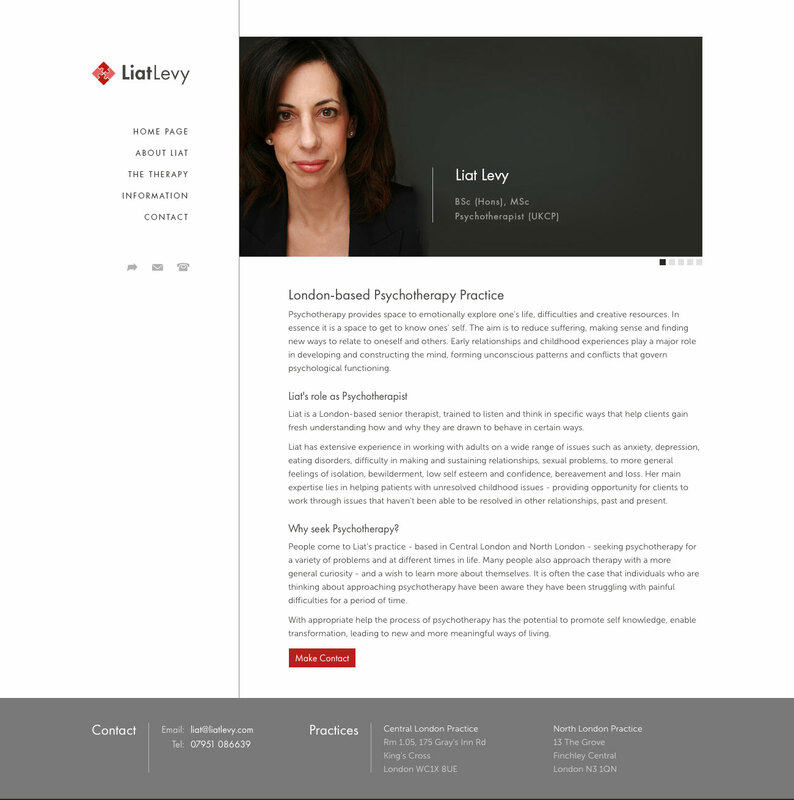 The same is true of Liat Levy's Psychologist website. It is designed to capture the attention of those looking for her services - and to do so in a gentle, but authoritative way to demonstrate Liat's care and professionalism. The aim is to show that she's different to her competitors, whilst communicating a level of warmth and safety that is paramount when you are looking for somebody to pour your heart out to.